Lifting the spirits of your audience and empowering them to think, engage, and act in more effective ways. A great speaker should lift the spirits of your audience and empower them to think, engage, and act in more effective ways. I know the importance of linking my presentations to the purpose, objectives, and theme of your event so that it impacts performance. Using my Transformation Framework, we co-design your presentation to achieve the outcomes that will make a difference for your business and people who work there. Finally, the icing on the cake – I use world-class magic to illustrate my points. I’ve been a magician for 50 years and I’m a member of London’s Magic Circle, the International Brotherhood of Magicians, and The Chicago Magic Round Table. Everyone loves magic. It’s fun, it keeps people interested, and it makes the learning memorable. My TEDx talk, “The Magic of Words,” has been viewed over 200,000 times and is used in various training programs around the world, including a high school mental health class in Dublin, Ireland. Here’s a video sampler of my inspirational speaking. … The importance of joy and wonder in creativity. … Simple ways to apply the magician’s structure for creativity – Appear, Disappear, and Restore©. … Why inspiration is necessary for innovation. … How to use language that enhances creativity. … Ways magicians collaborate vs. competing. … Tools to identify and rise above limiting beliefs. … Methods to build the trust necessary for honest feedback, essential to creativity and innovation. … Ways to create an upward spiral of creativity, instead of the downward spiral of criticism. But what if we saw fear as an ally, a gift? What if people “leaned into” and embraced their fears? What if instead of fear being pushed away it became a source of strength – presenting opportunities to learn and grow? 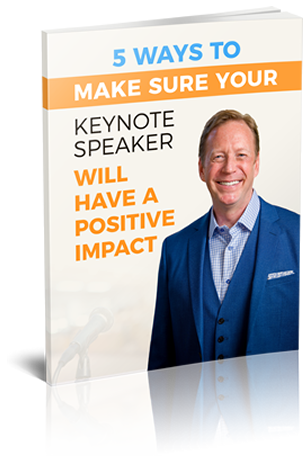 The classic magic word, Abracadabra, means “What I Speak Is What I Create,” and in this presentation Andrew combines world-class magic with an essential message about the power of words. Participants will learn simple techniques to identify the self-limiting repeating messages that are limiting and identify ways to replace these thoughts. They will also learn how to create an uplifting work environment by consciously using positive, supportive words with their coworkers. Celebrating a great year or the completion of a big project? Recognizing your star performers? Rewarding your team for their hard work? These are occasions where you want to celebrate and inspire – maybe even offer some ideas for ratcheting performance up to the next level. Jim Anderson President, Key Connections, Inc.